Whether or not you’re an active person, your feet and ankles undergo an enormous amount of stress every day of your life. Throw in sports and activities, and these extremities are working overtime. 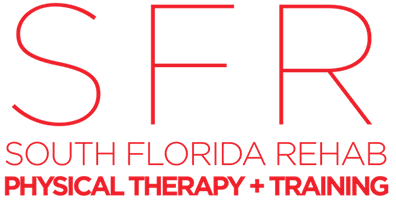 At South Florida Rehab and Training Center (SFR), the physical therapists and trainers are highly skilled in treating and preventing ankle and foot injuries for their patients in the Miami area. If you’re experiencing problems with your feet or ankles or would like to avoid any issues altogether, call or book an appointment online. What’s the anatomy of the foot? Your feet are amazingly complex, comprised of 26 bones and 33 joints, which are responsible for the support, balance, and mobility of your entire body. Helping these bones and joints are muscles, ligaments, and tendons, which keep everything together and provide flexibility. What’s the anatomy of the ankle? Your ankle is responsible for the up-and-down and side-to-side movements of your feet. Strains and sprains: Far and away, the leading cause of ankle and foot injuries are sprains to your joints and muscle strains, which can range from mild to severe. Tendon issues: The intricate network of tendons in your feet and ankles endure a lot of wear and tear and may degenerate and weaken over time, leaving them prone to tearing and rupture. Fractures: There are 29 bones between your foot and ankle, some of which are incredibly small. A collision with first base, or even dropping something on your foot, can cause a fracture. Structural issues: While not technically an injury, a structural problem in your feet, such as high or low arches, can cause severe aggravation. Plantar Fasciitis: Plantar fasciitis is a painful condition where the band of tissue (ligaments) across the bottom of your foot tightens, especially overnight, causing stabbing pains throughout your foot and in your heels. At South Florida Rehab and Training Center, the physical therapists understand the enormous impact an ankle or foot injury or condition can have on your ability to function correctly. To ensure that your ankle or foot has the best chance of a solid recovery, call South Florida Rehab and Training Center, or book an appointment online.